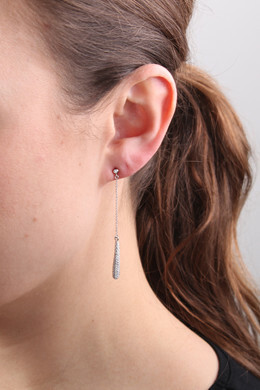 Our exclusive Sterling Silver Collection: Sparkling long lined drop earrings in polished Sterling silver. 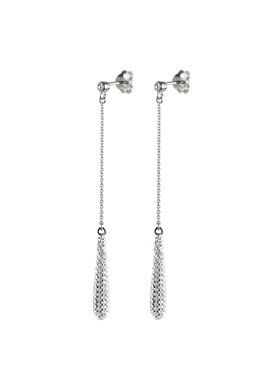 The earrings are created with a white cubic zirconia crystal from Swarovski and a slim chain with a drop shaped pendant. 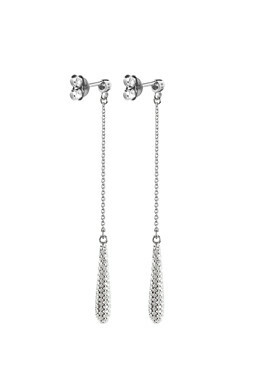 The long lined pendant is beautifully set with with tiny white zirconia crystals, that will sparkle up where ever you go. Studded and with butterfly closure.